Despite what others may say, being an affectionate mother does not mean you are spoiling your child. There are a million different ways to parent. Mothers can be strict or permissive, more affectionate or less affectionate, traditional or modern. However, the most criticized and questioned mothers are often the ones who are most immersed in the task. They are the moms who are the most willing to make sacrifices for their children. No matter how you raise your children, people will always find something to criticize. You’re too overprotective. You’re too permissive. You worry too much. You’re overly affectionate. People will always have something to say. So, mommies, it’s time to learn to ignore what others say, and do what your instincts tell you. You’ll be less likely to make mistakes that way. If you are an affectionate mom, don’t listen to the critics around you. Go on showing all of the beautiful things you feel for your child. There is nothing more wonderful than a happy child who knows that she is loved. Her personality, self-esteem and emotional intelligence will thank you for it in the future. Is it really that important? Yes, and so much more. First, your multiple and varied expressions of care and affection are not harmful to your child, despite what many suppose. On the contrary, you are releasing a great number of benefits. You’re not just creating a stronger mother-child bond; you are helping to give your child a more healthy development. Continue reading to find our more about these benefits. Before going any further, we want to make a vital distinction. Being an affectionate mother isn’t the same as being a permissive mother. That is why psychologists defend the show of affection towards children. They argue that affection will never have a “spoiling” effect. What does cause children to be spoiled is the lack of limits, rules and discipline. Therefore, it’s not just important to love your child with all your strength. Your child needs to perceive that love. Your kisses, hugs and your tender touch can be just as necessary as the breakfast you serve every morning. This should be of no surprise. Strengthening the bond between mother and child. What better than affection and admiration to foment the sacred relationship between you and your child? You’ll be generating greater confidence, which is the essential foundation for a solid education. A stronger bond will make it easier to explain the yes’s and no’s to your infant child. This in turn will help you gain your child’s obedience in face of limits and family norms. At the same time, you’ll eliminate secrets between the two of you. Greater sense of protection and self-esteem. 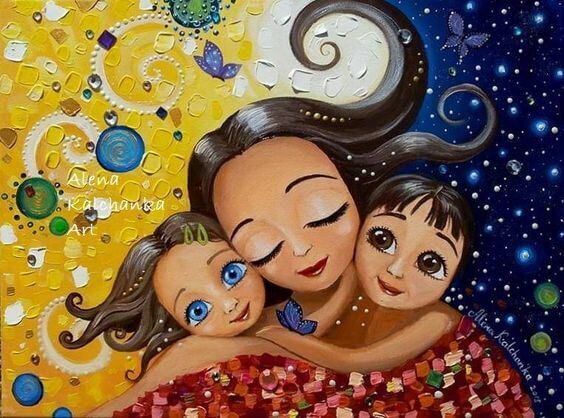 Children who receive a lot of affection do not live in fear, as they know they have their mother’s support. They feel capable of enduring difficult situations. Their mother’s love gives them strength and valor. 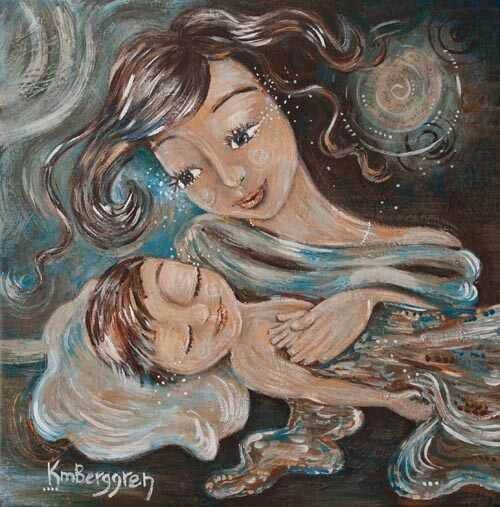 Being an affectionate mother makes your child feel invincible, indestructible. Furthermore, a child who experiences her mother’s constant care feels more sure of herself. Development of emotional intelligence. There is nothing more important than knowing how to manage our emotions and use them to our favor. Without a doubt, a healthy emotional intelligence makes for a happy child. By showing your child affection, you help him learn to control different feelings and to tolerate frustration. Affection favors communication and combats shyness. By now it should be obvious that a child who receives affection will not have issues opening up to his mother. No matter what the topic, his mom will be his confidant. And that same successful communication will help your child to be more outgoing. You will help your child overcome fear and shyness in order to connect with others. Empathy and care for others. Lastly, these children will acquire more empathy for others and be able to express care and understanding for their peers. In general, they will have less difficulty expressing their emotions.